Do you like the fun string that lets you carry this box around? With heaps of number practice on charming bright flashcards, you’ll also love what’s inside. When you’re a busy little person, there’s not much time for sitting around. That’s why this box of carry-along learning is so perfect. 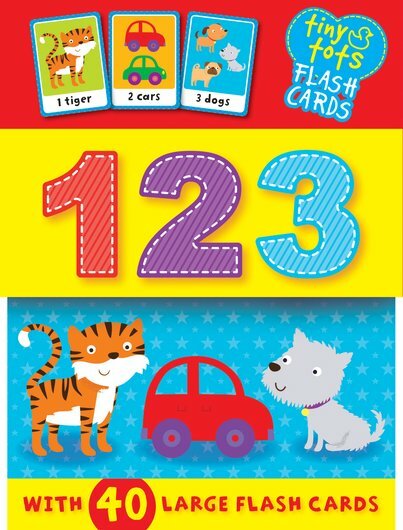 Big chunky flashcards with oh-so-cute pictures that help you count from 1 to 20. Instant number fun wherever you are. I opened the pack and was firstly disappointed with how cheap the cards were. They are very thin and flimsy. I went through them all with my daughter and found that both the number and picture card for number 3 were missing and we had two picture cards for the number 16. It’s a good job she can already count to the number 10! Can’t find any information about how to return this to Scholastic either so looks like it will also be a waste of money. Very disappointed. Scholastic UK: We’re really sorry to hear that your pack was incomplete on purchase. If you contact enquiries@scholastic.co.uk with your name and address and the ISBN of the product we will send a complete pack to you.